It will help you meet the demands of audit and inspection and is written to National Occupational Standards. Remember, health and safety training is obligatory no matter where you work. 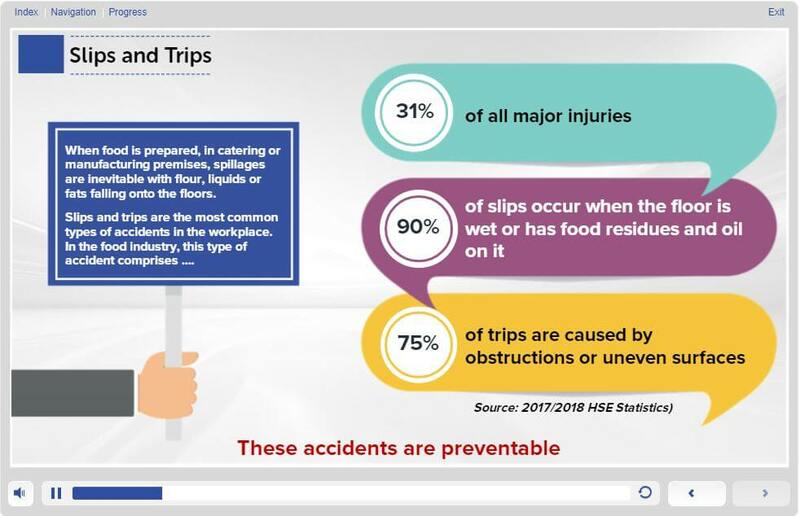 Here are some of the reasons our online Health and Safety for Food Workers is one of the best in the industry. The food environment is dangerous, with many hazards. Under the 1974 Health and Safety at Work Act employers have responsibilities, including insuring employees are trained in the fundamentals of health and safety. Ready to gain your Health and Safety for Food Workers Certificate? Who should take this health and safe for food workers course? Being in a food-handler role there are certain activities that may pose a health and safety risk. Controling these hazards as much as possile within food production and retail. 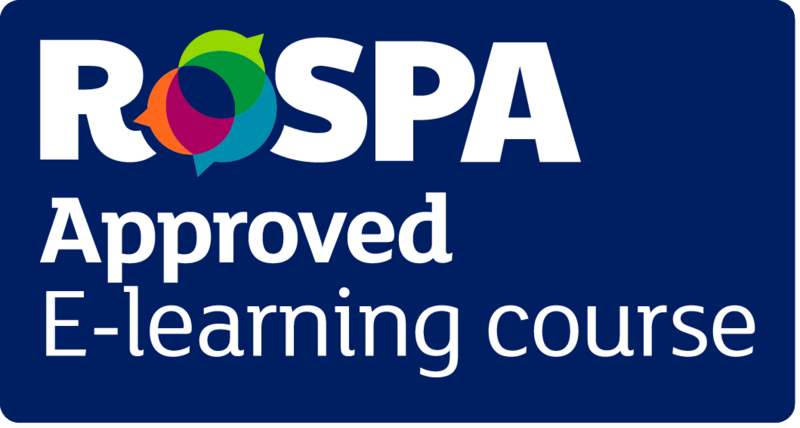 Our Health and Safety for Food Workers course is an approved RoSPA e-learning course, allowing us to provide the most up to date and industry recognised course. How long does a food health and safety for workers certificate last? Our Food Health and Safety course has been approved by Environmental Health Officers with its content developed in accordance to their guidelines, which means you can be sure you’re receiving the right training for your role. 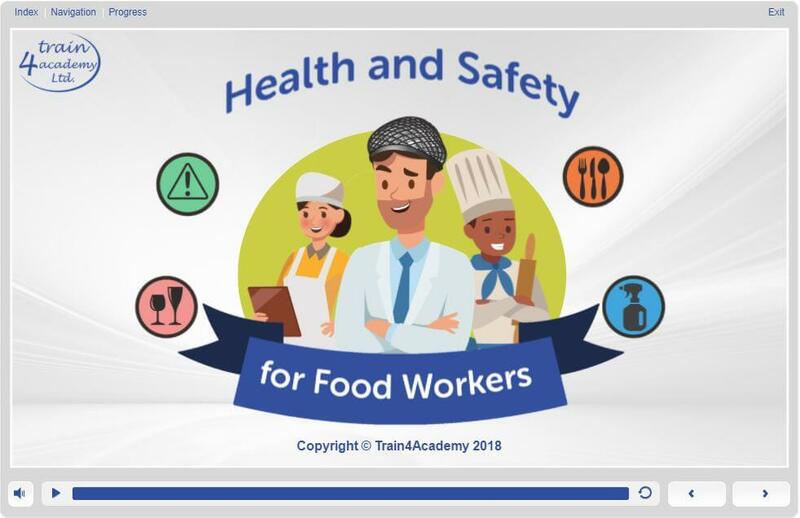 This Health and Safety for Food Workers course provides 2 points towards your Continuing Professional Development (CPD). The average time required to complete the learning is approximately 1.5 - 2 hours. However the course is designed to go at the pace of the learner and can be completed in more time if needed. If you don’t pass the assessment first time there is no need to worry. 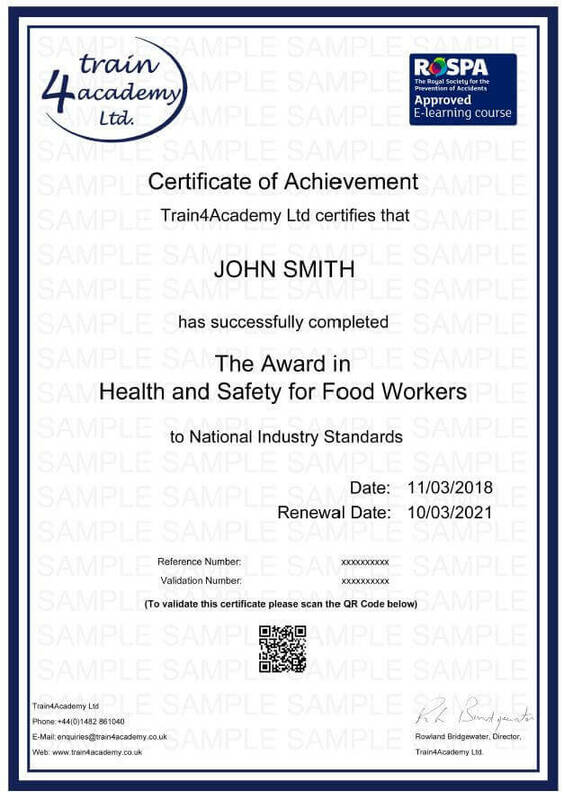 We offer you unlimited FREE resists to make sure that you pass and get your certificate in health and safety for food workers, stress free. 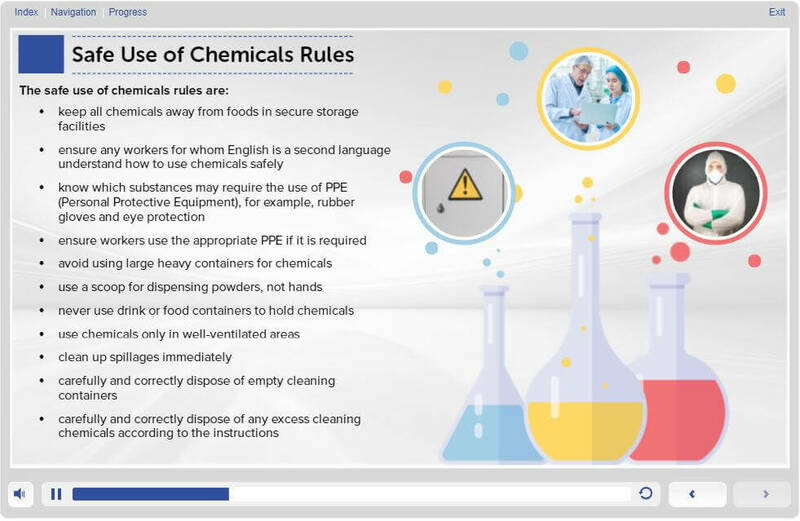 Hazards Within the Food Industry This module explores the types of hazards that you may come across in a food establishment. It looks at what risk assessments, emergency procedures and company policies should entail and why they are important for the safety of staff. 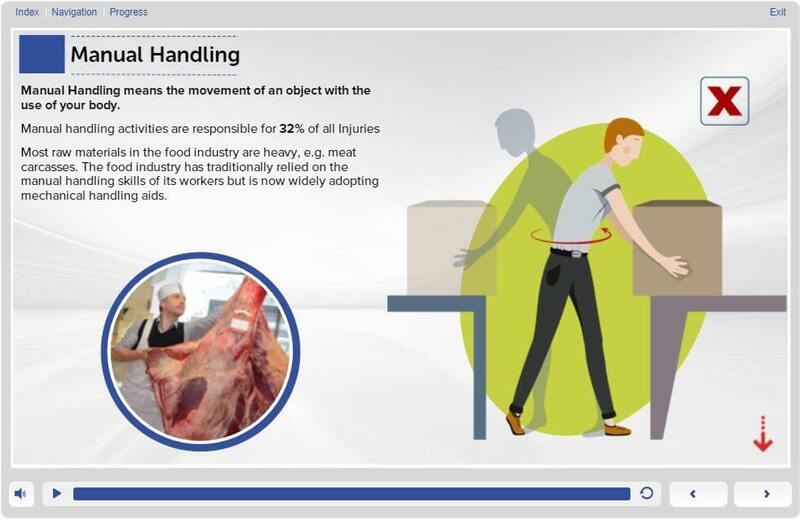 Minimising Risks in the Food Industry This module covers the types of accidents and injuries food workers may face and the different ways to prevent them. It looks at why PPE (personal protective equipment/clothing) is important and when it should be used.